As car wreckers Geelong we have a huge range of Holden, Ford, Mitsubishi, Toyota parts and selected stock of all makes and models. Phone and talk to our friendly staff about the part you need – car seats, seat belts, windows, gear boxes, CV joints, head lights, fuses and more – and we can tell you if we have it in stock. We have new stock of used car parts arriving daily and our qualified mechanics are more than happy to fit the parts for you on site. All of our used car parts come with a 30 day warranty. Phone us on 03 5277 0480 – if we don’t have it in stock, we will find it! More than supplying used car parts Geelong, we can post them to you if you’ve had trouble locating them in your home town. It’s a hard thing to admit but if you have had an old car sitting in your yard or garage for over 2 years it’s highly likely that you are never going to work on it. 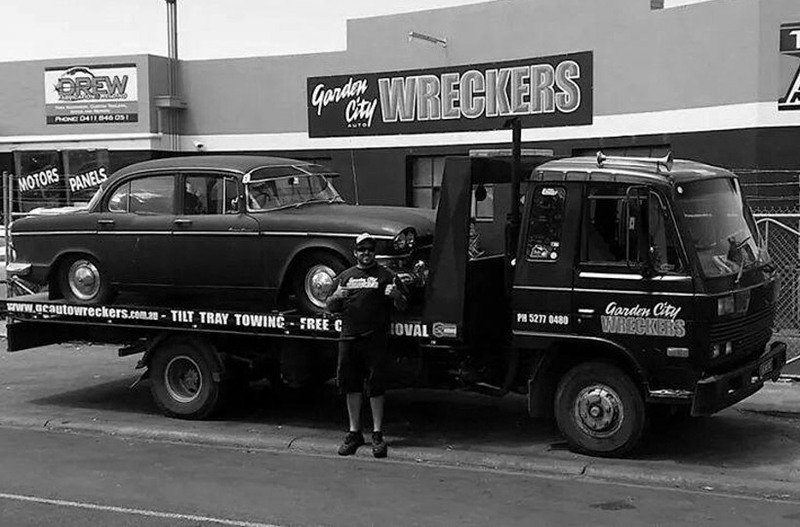 Garden City Auto Wreckers can take the pressure off and remove the eyesore with our car removal Geelong and surrounds. Has the old bomb got a bit of life in it yet? Ask us about our Geelong towing service. Looking for an affordable used car? Phone us at Garden City Auto Wreckers or come down and see what we have available. We have used cars coming in all the time and just might have the car you are looking for. With our qualified mechanics we can service and maintain used cars to keep them running smoothly. Looking for a mechanic you can trust? We can help you with servicing, maintenance and mechanical repairs: brakes, clutch, motor fits, exhaust, safety checks, starter motors, transmission or more. Avoid costly repairs and replacements by keeping your car regularly serviced with our trusted mechanics at Garden City Auto Wreckers Geelong.